Confession: I currently have no plans for July 4th. It is days away and we still don’t know how we’re going to celebrate Independence Day as a family. This is something that usually would give me some anxiety because I used to think that a memorable celebration took weeks to organize, but thanks to the wonders of technology, that is no longer the case. Punchbowl, the gold standard in online invitations, has announced a completely new way to plan a party… in an hour. The company just launched digital invitations delivered by text message. Talk about fast and convenient! With the free app from Punchbowl you can create and send beautiful party invitations in just a few minutes, and you’ll start getting RSVP notifications from your guests instantly. Once your invites are sent, it’s time to think about the other essential elements you need for a great celebration. All you need to do is grab your phone. 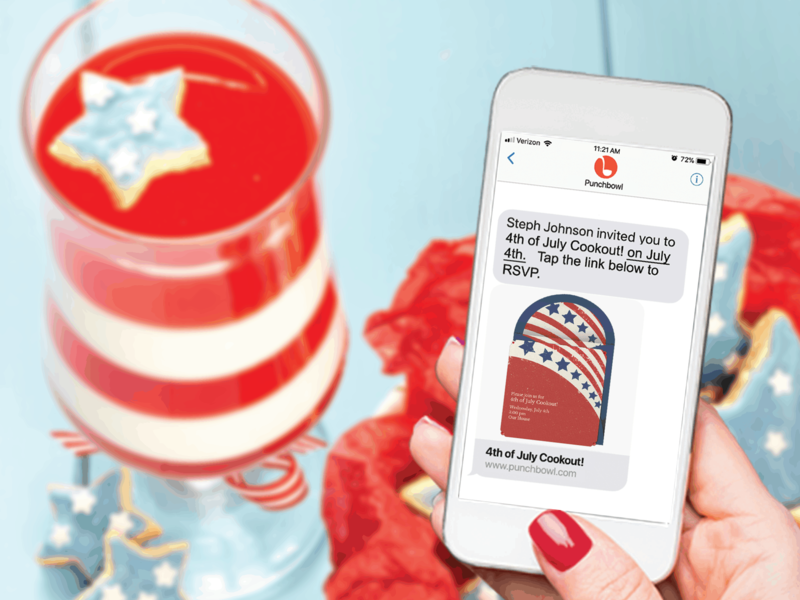 Send Text Invites with Punchbowl: Download the free app from Punchbowl to send digital invitations by text message and get those RSVPs. One thing I love about these digital invites is that there’s no back and forth on a massive email thread, and no wishy-washy “maybe” RSVPs. The invitations will impress your guests, and you’ll get an accurate headcount. 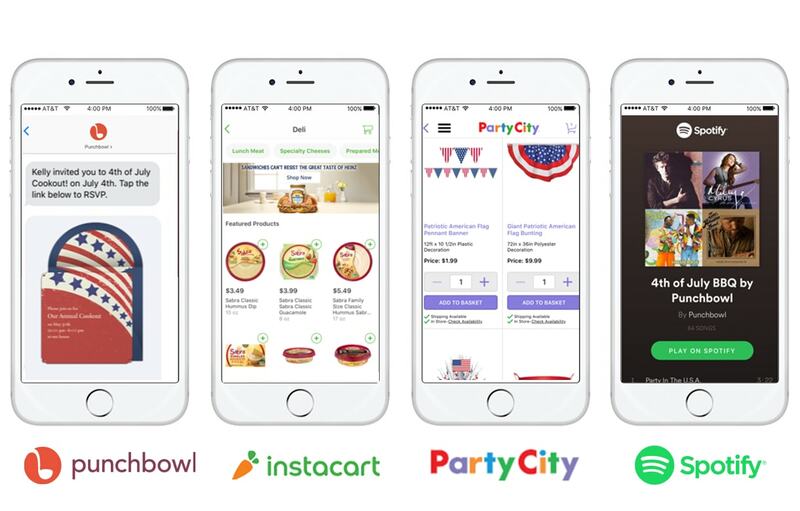 Order Groceries with Instacart: This app makes it possible to have groceries from your local supermarket delivered to your door in as little as an hour. This is a life-saver especially if taking your kids to the grocery is an ordeal! 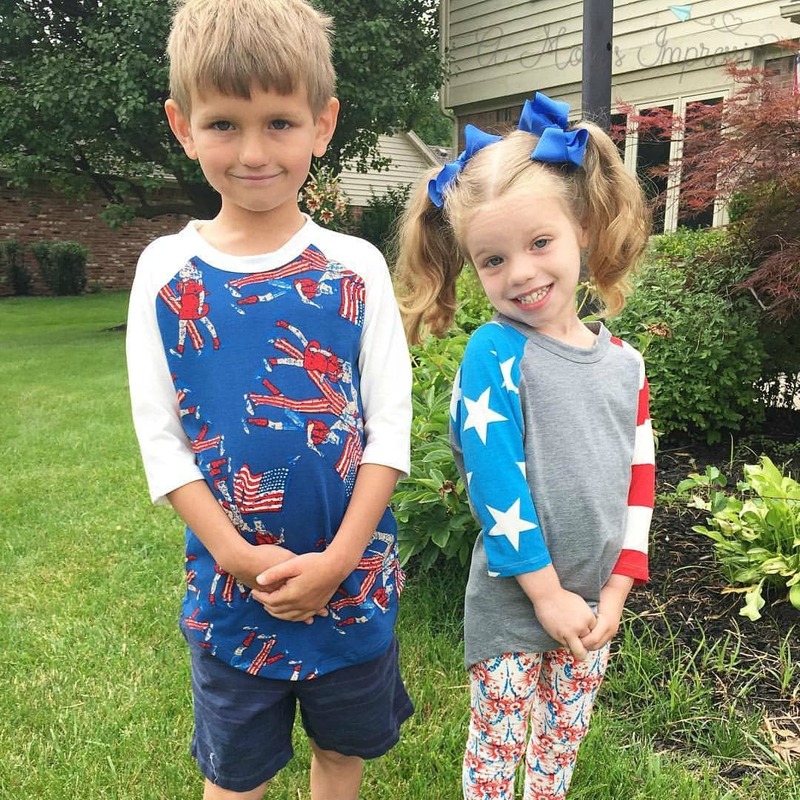 Buy Party Supplies with Party City: Party City is the leading party goods retailer, and they have a huge selection of patriotic paper goods and decorations. Setting the theme for your guests with some red, white, and blue can make a party feel extra special. You can order online and then pick up at your local store to save time. Find a Playlist on Spotify: This app is a go-to for music streaming, and there are thousands of playlists to choose from. Here’s a festive and family-friendly July 4th playlist that has a great mix of feel-good, summer tunes that everyone will enjoy.